We now have an exchange policy in place to help you fine tune you pedal cable length to fit your exact needs! Our Ultra pedal board and patch cables are awesome! We use Canare GS-4 for our pedal board kits and pedal board cables. This cable offers superb flexible and transparency to fit your sonic needs. 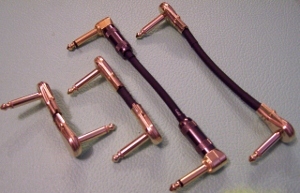 We also offer Canare GS-6 pedal board cables, awesome tone and extreme durability. 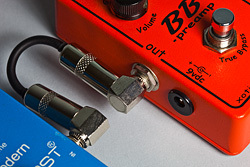 All of our pedal board cables use G&H plugs to assure you highest sound quality and reliability possible!